This is part of the Budget like a Badass course. 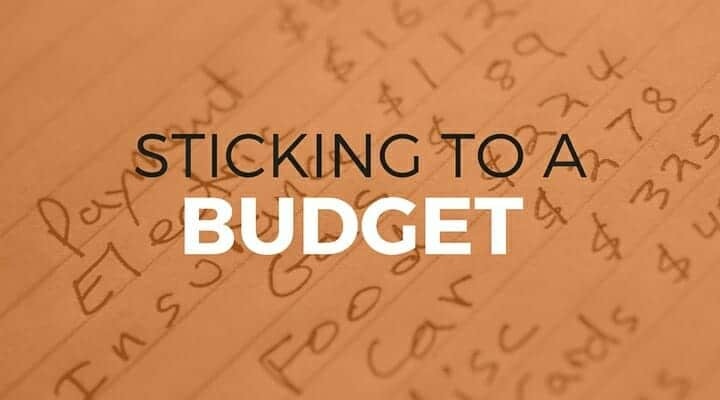 Although creating a budget is a daunting task, sticking to a budget month after month could be even harder. It will take work and discipline but once you get the hang of tracking all of your spending, budgeting will become second nature to you. You have to create a realistic budget with an end goal in mind. We know you will be tempted and sometimes and may get off track but you can’t let that steer you away from your goals. We’ll give you all the tips and motivation you will need to stick with it and keep you on the right track towards success. Subscribe to get our latest creations in your inbox and a free chapter of Mastering Mint. It happens to us all. We start a new diet then binge on pizza. We fell off the wagon. And it can happen to our finances too. Champagne tastes hurting your wealth building? Unless you're a Russian oligarch, the answer may be yes. We like nice things even if we can't afford them. Do you love buying all the things? You might have a problem. We all love buying stuff but it can become a real problem. Let's tackle it together. Lifestyle creep can show itself in many forms and start, then spiral out of control. Recognizing it is the first step to conquering it. What does the ideal financially responsible person look like? Is it you? We'll discuss achieving financial perfection. See how you stack up. How do you stop yourself from burning through your money? We discuss a few mind hacks to curb your monetary urges. We want you to be sensible with your purchases. But sometimes you just need a big one! (Don't we all). When is a big purchase justifiable? Do you hate your job and your life? Do you have a house full of stuff? Your materialistic lifestyle is killing you.